We are a welcoming family of God's people working to strengthen Christian faith for all. Inspired by God's gifts we nurture spiritual growth, prayer, healing, unity and peace. In this place of worship, we serve as the one body of Christ through our shared love and care for each other, our local community and the larger world. ﻿Located at 211 Millstone Road in beautifully rural Millstone Township, New Jersey in Monmouth County, we hope that you will be moved to be part of the mission of God's love wherever you are, and if you are close enough, come check out our ministry! Join us on Palm Sunday, April 14th, for a musical service with a Cantata sung by our choir. Thursday, April 18th. Mr. Ben Lawrence will prepare and share a Seder at 6:30PM. Please let us know if you'll be joining us so that we can prepare enough food. Call the church office at: 732-446-2300. Good Friday Service, April 19th at 7:00PM. Please note that the church will also be open from 12:00 noon until 3:00pm for prayer. Join us on Easter Sunday, April 21st. Start your day with a beautiful sunrise service. We meet in the church parking lot at 5:45 am and then proceed to East Windsor Cemetery to worship our Lord. Or, join us at 10:30 am at the church to celebrate our risen Christ! Vacation Bible School 2019 will be SUPER!!!! The Food Pantry is OPEN!! 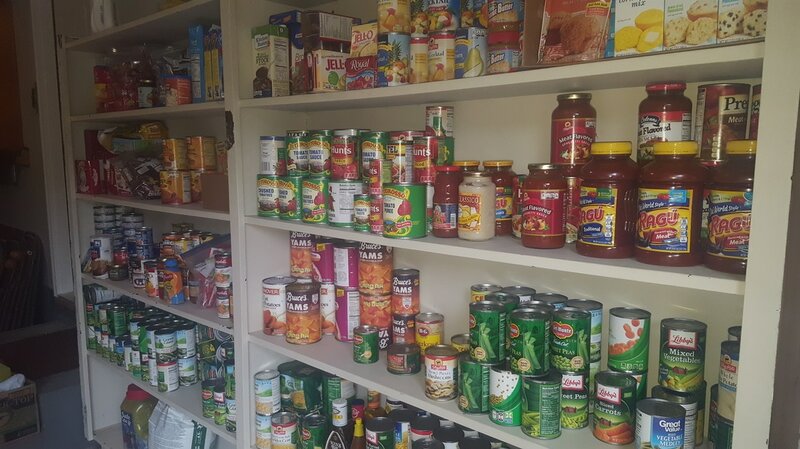 Our Food pantry is open to ANY individuals or families in need the 2nd and 4th Saturday mornings of each month from 10:00AM - 12:00PM and on an as needed basis by calling the church office to make arrangements for pick-up. Non-perishable food donations are always welcome too! Would you like to learn more about joining our congregation? We would love you to! New Members Classes are forming! Please call to register for these classes at 732-446-2300.